The focus of our center is yoga as taught in the tradition of the world-renowned Yoga Master BKS Iyengar, author of the classic texts, Light on Yoga, Light on Pranayama, Light on the Yoga Sutras of Patanjali, and Light on Life. Iyengar-style hatha yoga is a graceful, precision-oriented approach to yoga that seeks to develop flexibility, strength, stamina, concentration, will power, and relaxation in a balanced way. As a The Center student you will be provided with individualized instruction on how to nurture muscular and postural balance and stability and how to prevent injury and relieve discomfort. All of The Center For Yoga of Seattle’s teachers have studied with BKS Iyengar, Geeta or Prashant Iyengar, or their longtime students, and are serious practitioners of yoga as well as down-to-earth, real human beings. 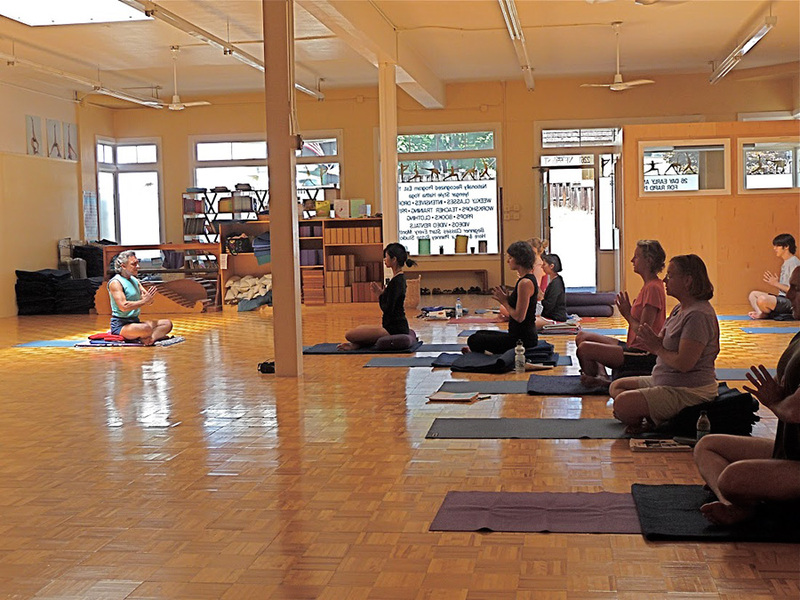 The Center For Yoga of Seattle is recognized as one of America's leading Iyengar Style Hatha Yoga Centers with classes being taught in two studios, 50 weeks of the year. Our founder, Richard Schachtel is one of the most influential yoga teachers in the Northwestern United States. Originally certified in 1974 as a Sivananda Yoga Teacher, Richard has been studying Iyengar Yoga since 1976 and was one of the first group of Americans to be certified as an Iyengar Yoga teacher in 1984. Today Richard enjoys teaching all levels of students - beginners to advanced, and those with special needs. He conducts a number of types of yoga teacher training courses and supervises an apprenticeship program. Many of the Seattle area’s yoga teachers, as well as students from around the US, Canada, and abroad, have received their teacher training with Richard. Richard has taught yoga in Seattle for 39 years and is a Certified Iyengar Yoga Teacher. He has studied 19 times in India with B.K.S., Geeta and Prashant Iyengar at their renowned Institute in Poona India where he has received training in Asana (yoga postures), Pranayama (breath control), Medical Therapeutic Yoga (working with students with injuries or medical conditions), and Yoga Philosophy. Richard has given guest Iyengar Yoga workshops in Washington DC, Chicago, Alaska, Idaho, Texas, and Hawaii. He has also taught in Australia and India and has been on the teaching staff at several of the National Iyengar Yoga Conventions. Richard has worked for fifteen years as an Assessor for the B.K.S. Iyengar Yoga Association of the United States to determine which teachers are qualified to earn the Iyengar Yoga teaching credential. He operates one of only 39 authorized Iyengar Yoga Teacher Training Programs in the US, and is the only authorized Iyengar Yoga teacher trainer in the Seattle area. Richard first trained in India with B.K.S. Iyengar in 1980 and took his 20th Indian yoga study trip in the winter of 2014-2015. He continues to enjoy deepening his practice and sharing his many years of experience. Richard founded the Center in 1980 and continues to serve as its Director. He is Seattle’s most senior Iyengar Yoga Teacher. Are you ready to experience the The Center For Yoga of Seattle difference?